Ghost Blade is an intense bullet-hell shoot 'em up game, with satisfying and addictive score-based gameplay, with its tradition going back to the shooting games of the 1990s era. Designed with a modern graphic style and special effects, Ghost Blade also features an awesome 2-player mode! Ghost Blade is easy to learn, yet hard to master. The Soundtrack based on the heydays of Japanese shmups and arcade sounds: Composer Rafael Dyll has already scored several console games (Söldner X-2. 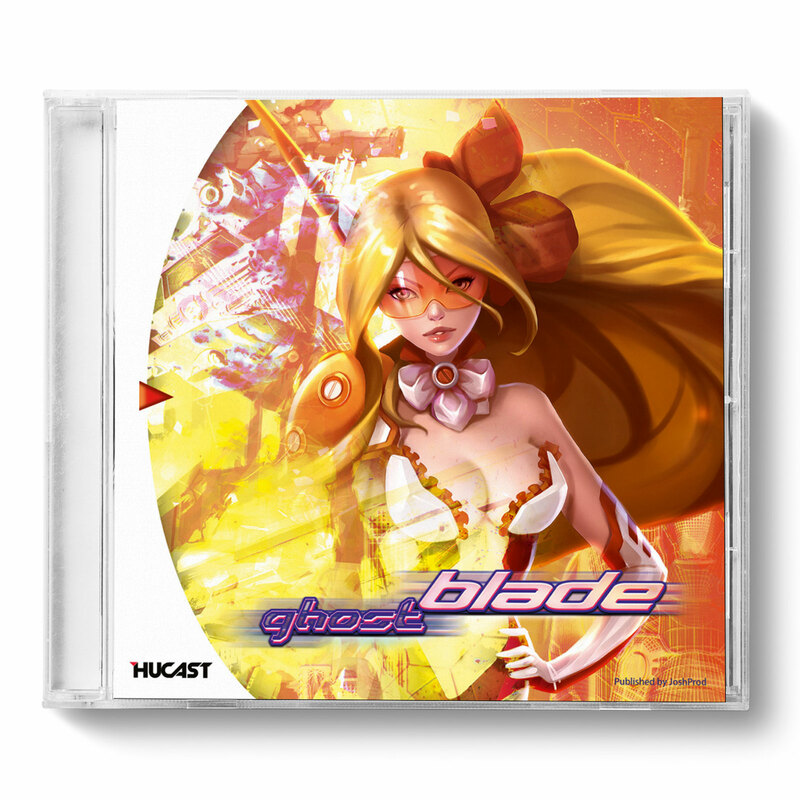 Rainbow Moon) and returns to his signature sound with the music featured in The Ghost Blade. Fusing J-Pop influences and typical 90s synths and with modern production values, Rafael provides an action-packed soundtrack with catchy leads and electronic beats.